December 7, 2012 - Hawker Beechcraft Disclosure Statement filed in connection with the company’s Joint Plan of Reorganization (POR) has been approved by the U.S. Bankruptcy Court for the Southern District of New York. Court approval of the adequacy of the Disclosure Statement allows Hawker Beechcraft to begin soliciting approval of the POR from its creditors. The POR is supported by the Official Committee of Unsecured Creditors, and holders of a majority of the obligations under the company’s prepetition credit facility and senior unsecured bonds have also committed to support it. The voting process will be completed by Jan. 22, 2013, and the company will seek approval from the Court to exit bankruptcy at the confirmation hearing scheduled for Jan. 31, 2013. Upon its emergence from Chapter 11, the company plans to enter into a new financing facility of at least $525 million, consisting of a term loan and a revolving line of credit, that will be used to repay the debtor-in-possession (DIP) post-petition credit facility, issue letters of credit to replace the DIP and fund ongoing operations. 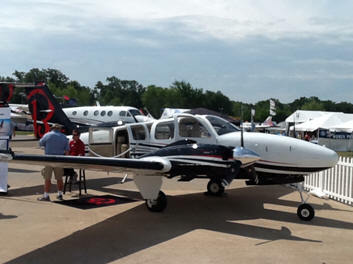 As part of its reorganization, the company intends to rename itself Beechcraft Corporation and implement a business plan that focuses on its turboprop, piston, special mission and trainer/attack aircraft – the company’s leading products – and on its parts, maintenance, repairs and refurbishment businesses, all of which are profitable and have high growth potential. On 3 May 2012, the company entered bankruptcy, filing voluntary petitions under Chapter 11, Title 11, United States Code in U.S. Bankruptcy Court. The bankruptcy resulted in the company accepting an offer to be purchased by Superior Aviation Beijing although on 18 October 2012 the negotiations for the transaction had failed. Hawker Beechcraft is a world-leading manufacturer of business, special mission, light attack and trainer aircraft designing, marketing and supporting aviation products and services for businesses, governments and individuals worldwide. The company’s headquarters and major facilities are located in Wichita, Kan., with operations in Little Rock, Ark. ; Chester, England, U.K.; and Chihuahua, Mexico.